L Devendro Singh (49kg) marked the beginning of his senior international career with a resounding victory in his opening bout at the 2011 AIBA World Championships in Baku, Azerbaijan. Devendro upstaged Asylbek Nazaraliev of Kyrgyzstan to make his place in the round of 32 and give the Indian campaign at the championships a winning start. The rookie boxer was a surprise pick in the Indian team beating the likes of Asian Championship silver-medallists Amandeep Singh and Thokchom Nanao Singh in the light fly weight selection trials, that were held at NIS Patiala last month. On the first day of this momentous championship, the nimble footed Manipur lad displayed why exactly, did he make the cut. 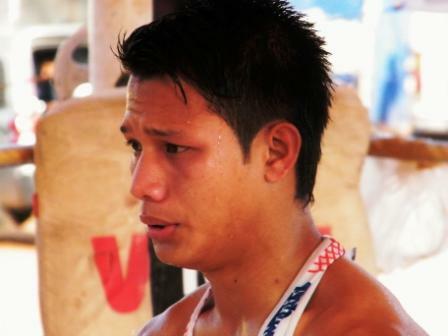 Up against Asylbek, a bronze medal winner at the 2011 Asian Confederation Boxing Championships, the 19 year old exhibited tremendous skill. After the opening three minutes of play the scores were knotted at 4 all. But with the beginning of the second round Devendro took the game away from the Kyrgyz boxer, with the help of some exquisite combinations and a nifty footwork. In the end he went to secure his place in the next round of the championship with a 14:8 victory. In the round of 32 he will take on Joselito Velazquez of Mexico on the 3rd of October. Day two of the championship will feature two seasoned Indian pugilists take to ring. First up is 2010 Commonwealth gold medallist, Suranjoy Singh, in the flyweight division. He will lock horns with Zsolt Dobradi of Hungary. Former Commonwealth games gold medallist Akhil Kumar will also open his world championship campaign in the bantam weight division; he will take on Filip Barak in a keenly awaited contest.